Bristow is located just 30 miles away from Washington, D.C. 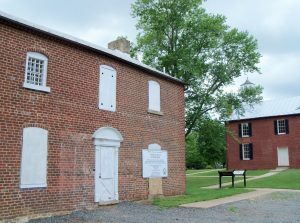 It was voted one of best places to own a home in Virginia by Nerd Wallet and this is due in part to the growth of the area in the last thirty years. With a population of 29,346, it is an up and coming community in Prince William County. Bristow is also home to the Jiffy Lube Live concert arena and offers a number of live outdoor events each year. There are a number of small ponds or lakes in the area, which can provide breeding grounds for mosquitoes. Although the winters can get cold, a mild winter can lead to an increase in the mosquito and tick population in the area, especially in the spring. If you want to enjoy your time outside on a warm summer evening, but you are stuck inside hiding from mosquitoes, Mosquito Tek can help you take your summer back with a comprehensive mosquito control program. At Mosquito Tek, we offer two different treatment options for you to choose from. Each of the options are safe and effective at eliminating mosquitoes around your home. You can talk to your technician to determine which option is the best one for your situation. We use the Essentria products for our organic treatment options. This product line is NOP compliant and it has no aquatic setback. It is considered safe to use on organic vegetable gardens and it is a good option for daycare centers, restaurant owners, and homeowners. The treatment will be applied every two weeks. The Talstar product line is our conventional treatment option. This has a strong mosquito knockdown. It will need to be applied every three weeks. Spraying for mosquitoes is just one step of an effective treatment option. It is also important to address the mosquito larvae. We do this with two steps. The first is an inspection of your property to empty any containers that may have collected standing water. The next step is to apply a larvicide to any natural areas of standing water. The mosquito larvae will eat this and die, but it will not affect other aquatic insects. As part of our commitment to provide you quality service at good value, we offer a flea and tick control treatment upgrade as an option with each mosquito treatment. Ticks are known carriers of a number of serious diseases including Lyme disease and Rocky Mountain spotted fever. Fleas can transmit the plague and may make your pets very sick. This treatment will allow you to send your family outside without worrying about constantly applying bug spray. Mosquito Tek has over 20 years in residential and commercial mosquito control services. We understand that including mosquito prevention as part of the control service is essential if you really want to prevent mosquitoes from being in your yard. In addition to spraying to kill adult mosquitoes, we will treat the areas where they breed to prevent the larvae from growing into biting adults. By choosing Mosquito Tek, you will be benefiting from the knowledge of professionals who understand when, what products to use and how and where to apply them. We use the best sprays available, and you can choose between conventional or organic mosquito treatment options. Our technicians our trained to identify the types of mosquitoes and safely apply the treatment. Our technicians are courteous and professional. It is important that you trust the technicians that visit your home, which is why we run extensive background checks and train each of our employees in proper pest control protocol. At Mosquito Tek, we pride ourselves on offering quality service with each treatment. This is why we offer two guarantees. Our Service Guarantee means that if you see a mosquito within 8 hours of your treatment that we will re-spray your property at no cost to you. 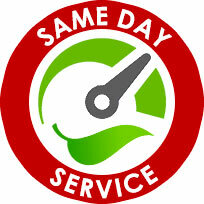 We also offer a Money Back Guarantee if you are not satisfied with our service. We understand just how important your family’s safety is and we can give you the mosquito free yard that you want. Do you offer all-natural or organic mosquito treatments? Mosquito Tek offers an organic option that is environmentally safe and will last up to 14 days. Our conventional option will last up to 21 days. What are the active ingredients in your organic mosquito spray? The active ingredients in our organic insecticide consist of geraniol, rosemary oil and peppermint oil. These are natural repellent to insects, but are completely safe for plants and wildlife. 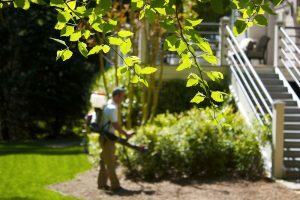 What happens during a mosquito control treatment? Apply larvicide to possible breeding sites and empty standing water from any containers. Spray for adult mosquitoes in around your lawn, along the tree-lined areas and in the underbrush. Does Mosquito Tek offer discounts or coupons? 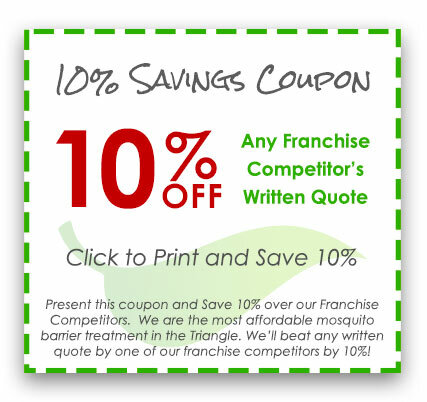 We offer a coupon to beat a competitor’s price by 10%. Additionally, we offer community discounts to encourage communities and neighborhoods to work to control the mosquito population together. We offer free estimates. We do need to see your property before giving an estimate so that we can assess your property and needs and provide an accurate estimate. What if I see a mosquito between treatments? If you see a mosquito between your scheduled treatments, call us right away. We will respray at no additional cost to you. Yes. We value our customers. We do everything we can to eliminate the mosquitoes from your property or home. 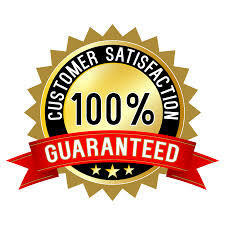 There is a 100% money back guarantee if you are not completely satisfied with our services. Do you offer special event or one-time service treatments? Yes! Our special event treatment is available for everything from weddings to graduation parties to corporate events or backyard barbecues. The treatments will take care of stinging insects, mosquitoes, no-see-ums and flies. If you have tried using do-it-yourself methods like bug zappers, bug lights, and over-the-counter mosquito control sprays, you may find that these methods are not give you the mosquito free backyard that you want. Even if you plan your yard carefully by planting lavender, geraniums or other plants that naturally repel bugs around your patio, you will still have mosquitoes invading your yard. The professional mosquito exterminators at Mosquito Tek can truly eliminate mosquitoes in your yard which let you enjoy the outdoors again.